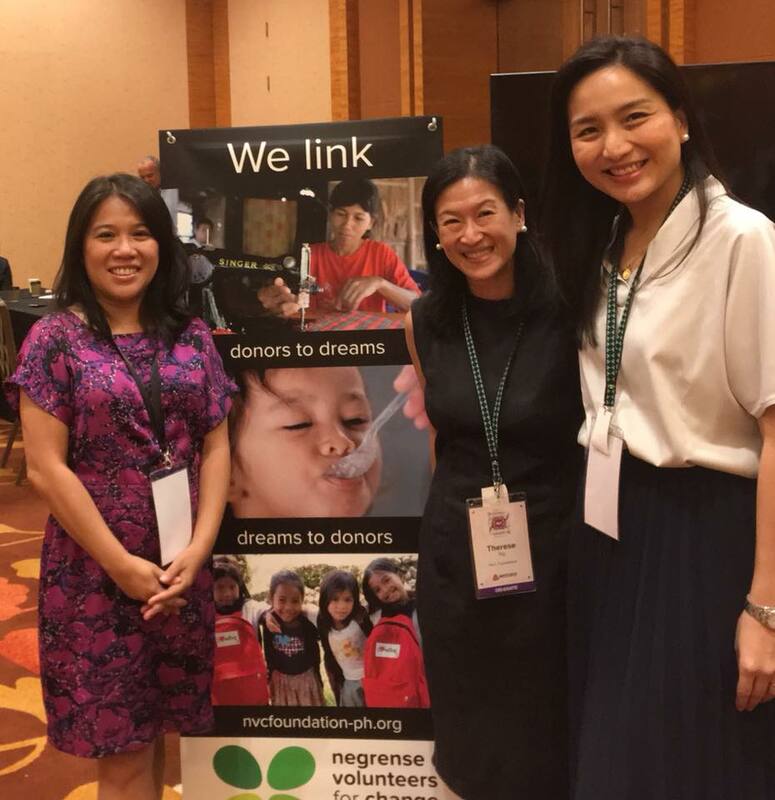 On October 25, 2017, a charity auction held in Singapore raised over Php1.25 million in donations for the Negrense Volunteers for Change Foundation. Web in Travel (WIT) is a community of people involved in travel technology. The annual WIT Conference has been running for 13 years and is the largest online travel conference in Asia-Pacific. Since 2008, it has included a charity auction as an integral part of the conference and has raised over US$500,000 for various charities in Asia, believing that the economic benefits of travel should be felt by local communities who may not otherwise be able to earn from the largest industry in the world, tourism. For 2017, NVC Foundation was WIT’s “charity of choice,” the sole beneficiary of funds raised at the auction. 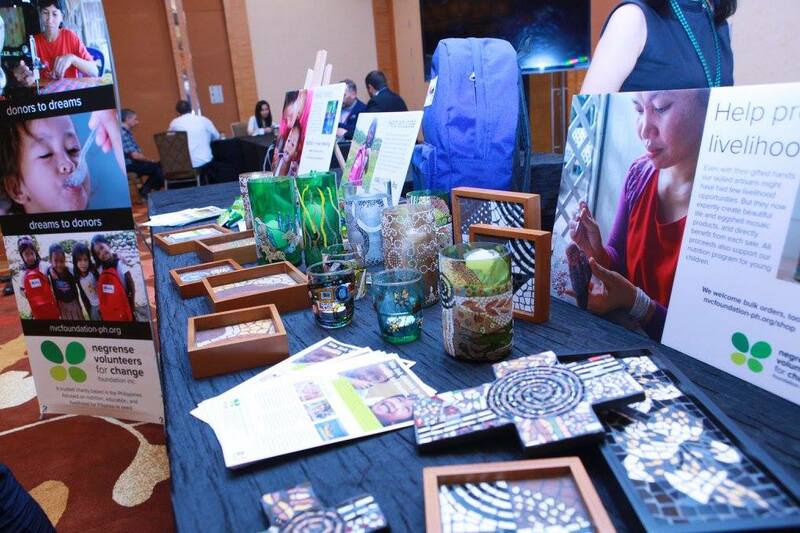 WIT provided NVC a table for displaying its projects and artisan crafts, which raised an additional SGD410 in purchases and donations. 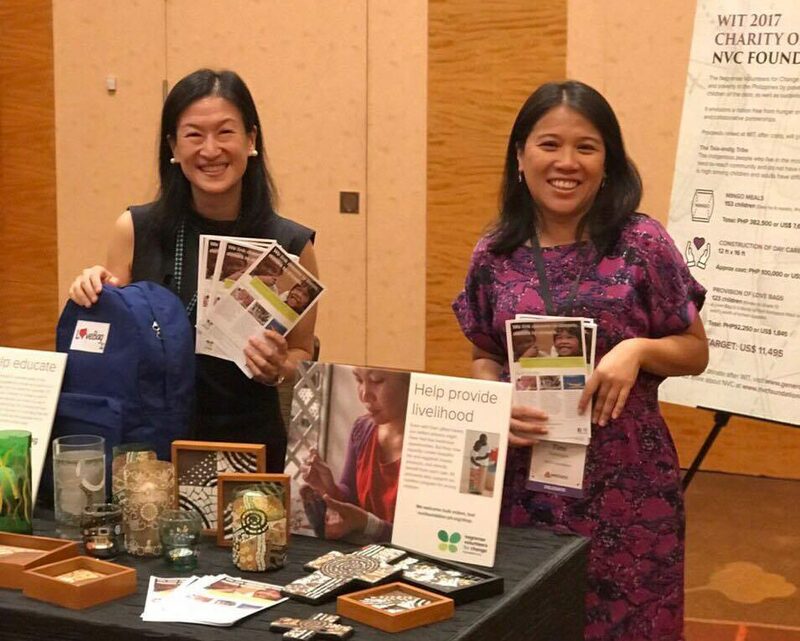 NVC trustee Therese Ng (left) with Singapore-based volunteer Timi Siytangco, who took care of printing NVC’s marketing materials locally and helped man the table for the whole day. The fundraiser capped the two-day event, held at Marina Bay Sands from Oct 23-25. NVC volunteer and trustee Therese Ng introduced the foundation and shared a few words about the fund-rasier’s target community, the Tala-andig tribe in Bukidnon, Mindanao. Louise Daley, Deputy CEO of AccorHotels in Asia-Pacific, took charge of the bidding, helping to raise more than double the original target amount of US$11,000. The total amount raised at the auction was SGD33,185.80, roughly Php1,257,106. An NVC table also brought in donations and product sales of Php14,720, and a Marco Polo Hotel travel voucher was gifted to NVC and later sold for Php10,000. 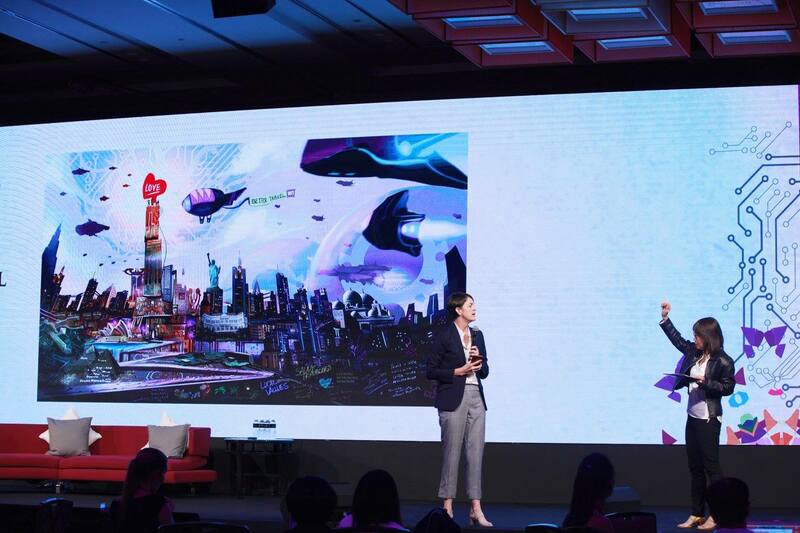 The live audience competed with phone and online bidders for items that included cruises, stays at luxury hotels and resorts, digital art, a private dining experience, and five hours of mentoring offered by Melissa Yang, the co-founder of Tuija, a Chinese vacation rental platform and rival to Airbnb that is now valued at US$1.5 billion. The winning bid for this single item was US$12,000. This is the first year that WIT selected the Philippines as a beneficiary. “WIT prides itself as representative of all of Asia and our goal is to reach out to as many countries in the region is possible. Over the last eight years, we have covered many countries, from Nepal to Myanmar to Cambodia and Vietnam, to name a few, and we felt it was timely to reach out to the Philippines,” explained WIT founder Siew Hoon Yeoh. “We try and pick charities that are personally recommended by people in our network and we like organizations that make a real difference on the ground with meaningful activities. 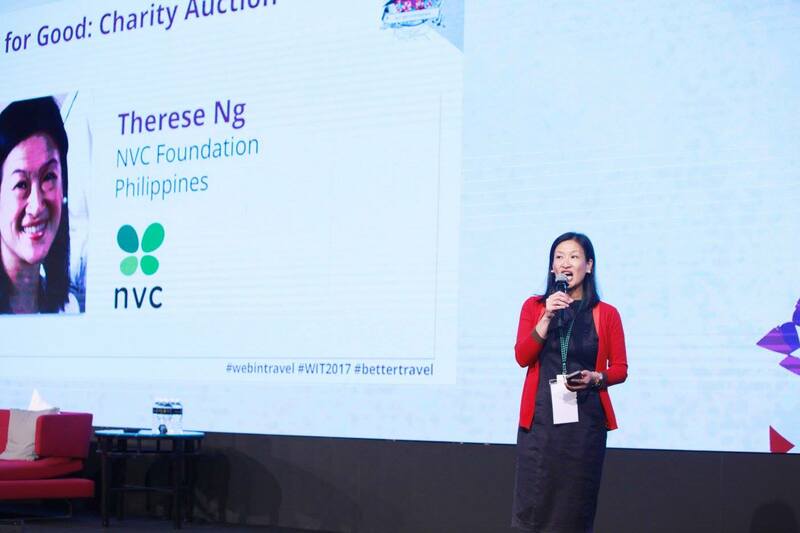 NVC Foundation was recommended by Candice Iyog, VP Marketing and Distribution of Cebu Pacific Air,” Ms. Yeoh said. She added a message to NVC: “On behalf of the WIT community, we hope the funds will make a small difference in your fight to defeat hunger and poverty. We trust you to make the best use of the funds raised because you know what’s needed on the ground. We hope it will put smiles on more children’s faces. The WIT donation was originally targeted to feed 153 children with daily Mingo Meals for 6 months, provide 123 students with Love Bags with a years’ worth of school supplies, and build a day care center. Since double the amount was raised, NVC will be studying and preparing a proposal on where the additional funding can best be used. The Negrense Volunteers for Change (NVC) Foundation is a trusted NGO that fights hunger and poverty in the Philippines by providing proper nutrition and access to quality education for children of the poor, as well as sustainable livelihood opportunities for their parents. Learn more at www.nvcfoundation-ph.org.